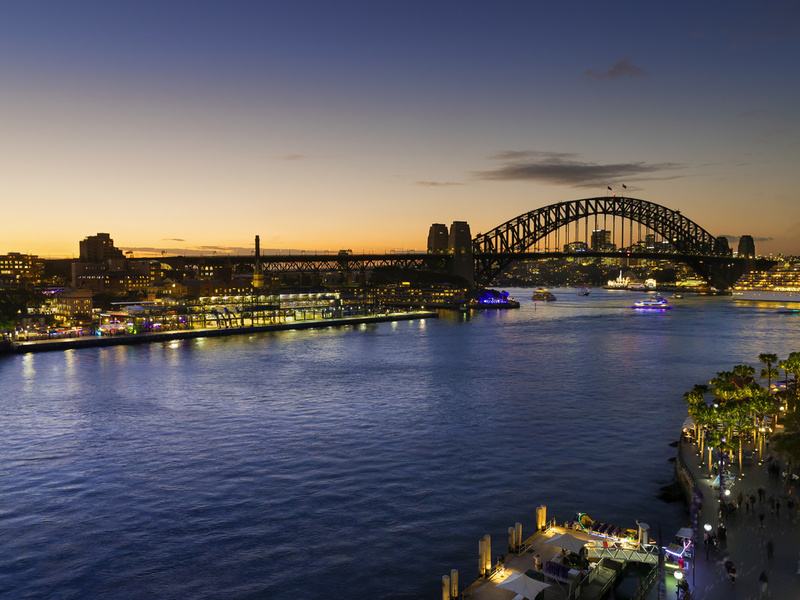 With its central location, Pullman Quay Grand Sydney Harbour offers access to the best of Sydney, from Sydney Harbour Bridge and the Opera House, to The Rocks, to Manly via ferry, to the incredible sightseeing and shopping opportunities within Sydney CBD. Providing luxury all-suite accommodation in the heart of Sydney, Pullman Quay Grand Sydney Harbour features a range of one and two bedroom suites with views overlooking the picturesque Royal Botanical Gardens or the vibrant Sydney Harbour and Circular Qua y. Guests staying at this remarkable Sydney hotel can enjoy a range of superb accommodation facilities, including a fully equipped kitchen, a separate living and dining area, a private balcony, a luxurious bathroom with spa bath, internet and a work desk. Hacienda Sydney is a breathtaking setting with one of Sydney's most iconic views of the Harbour Bridge. The vista bar is inspired by the grand plantation architecture of Cuba, mixed with the lux yet modern vintage hotels of 1950's Miami.